GST( General Sales Tax) is a tax which is to be deducted by seller from buyer’s bill and deposited into national exchequer by seller. Restaurants, Hotels, Shops all are supposed to deduct GST from buyers bill and later deposit in national exchequer. 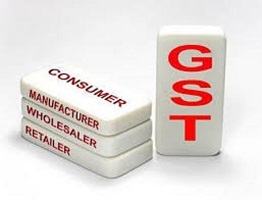 It is buyers responsibility to pay GST, it is seller’s responsibility to deduct GST and deposit in national exchequer. A story from a law abiding citizen – Arsalan Taj Ghumman. DnD Maskan was issuing sales receipts without mentioning their GST #; I kept complaining them every week for almost 3 months. I threatened them if they keep violate the law then I will file a case against them. FINALLY they have complied with law by printing their GST# on every receipt they issue. It is the responsibility of every citizen to not just abide the law but ask others to do that too. I was not seeking any personal gain but i felt it is my responsibility to protect the law and force others to do that. Pity that the purpose of getting education now a days is only to have a bright career. You need to implement everything, you have read in your text books, in practical life. Next articlePSL Final. Dear Imran Khan “Don’t you know, you should not blow horns, nation is sleeping”.